Now it’s easier than ever to manage external testers in TestFlight. Organize your testers into groups to quickly send specific builds, provide separate instructions on where to focus, and apply an action to several testers at once in TestFlight. TestFlight is a beta testing service provided through iTunes Connect, allowing for registered developers to iron out any significant bugs or issues in their apps before making them available on the App Store. Following the integration of TestFlight into iTunes Connect last September, Apple recently confirmed that it will be shutting down the standalone TestFlight website on February 26. Image (https://cdn.macrumors.com/article-new/2014/10/testflight.jpg)Apple on Thursday announced TestFlight Groups (https://developer.apple.com/news/?id=02122015b), a new feature that gives developers more control over organizing external beta testers into groups. 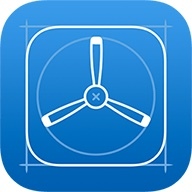 TestFlight Groups enables developers to distribute specific builds of pre-release apps, deliver separate instructions for focus areas and apply an action to multiple testers at onceTestFlight is a beta testing service provided through iTunes Connect, allowing for registered developers to iron out any significant bugs or issues in their apps before making them available on the App Store. Following the integration of TestFlight into iTunes Connect (https://www.macrumors.com/2014/09/05/apple-testflight-going-live/) last September, Apple recently confirmed that it will be shutting down the standalone TestFlight website (https://www.macrumors.com/2015/01/26/testflightapp-shutdown-february/) on February 26. Too bad Apple didn't use this on Yosemite's Beta. then we might not have the WiFi problem and assorted other bugs.